Raj Kapoor’s debut musical melodrama Aag (Fire) might not be expected to be film noir, but it is. For starters, it’s almost entirely a flashback, introduced by a man with a burnt face. The flashback tells us what has happened to him, with his voice-over and noirish black-and-white cinematography. Kewal is supposed to become a successful lawyer but fails his exams. He becomes the owner of a theatre, a sin according to his parents. Nevertheless, Kewal wants to follow his own path. He smokes like a Western bad guy and falls in love with his lost lover, Nimmi, the heroine of the play he produces. Nimmi seduces Kewal during a repetition, by dancing temptingly. The shy girl turns into a femme fatale, which Nimmi’s other admirer, the good guy Rajan, doesn’t appreciate. When scenes get emotional, characters’ faces are filmed in shady close-ups with chiaroscuro lighting, to emphasize sad expressions. Most of the scenes are shot at night, in dark and grimy settings. 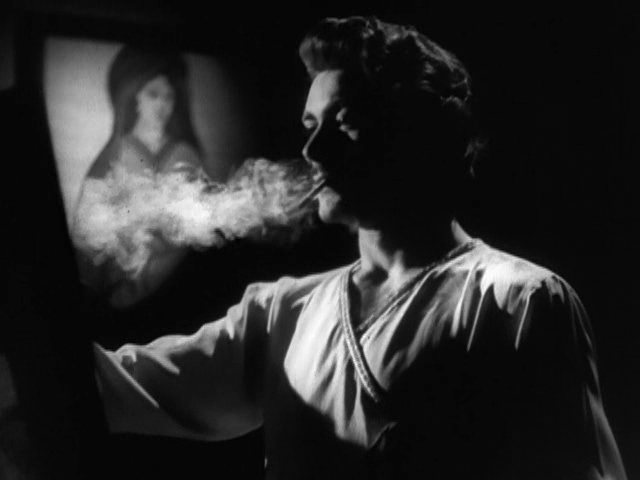 Stylistically Aag is all noir, but it also represents an internal noir world. “The lights of my dreams were switched off. Life approached me like the road, long, dark, sad and desolate,” says Kewal in the voice-over, explaining how he felt after little Nimmi went out of town. A nightmare which has haunted him his whole life. However, Kewal only loves Nimmi for her beauty, not for her soul. So Nimmi loves Rajan, which becomes almost fatal for Kewal. He burns himself so that only his soul can love hers. 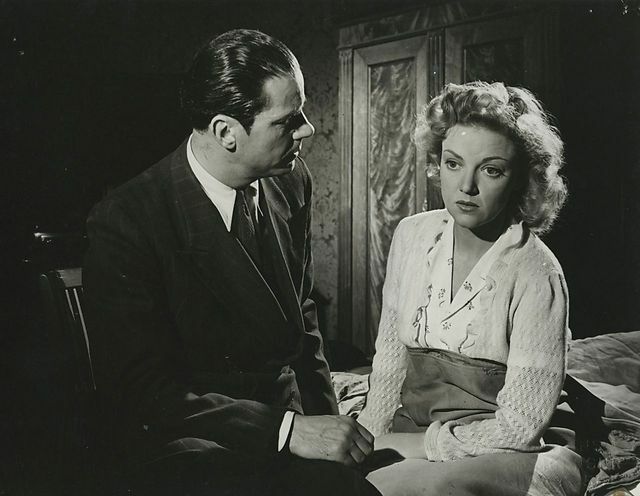 In the years during and following the Nazi occupation, when they still made most of their money from innocuous comedies, the Danish film studios produced a scattering of noir-inflected urban crime dramas. Asbjørn Andersen’s John & Irene is one of the most accomplished of these. John (Ebbe Rode) and Irene (Bodil Kjer) are a dancing couple traveling through Scandinavia, performing their routine in nightclubs and theatres. But times are rough, and they’re barely getting by. Irene’s dreams of making it big in New York have long given way to lethargy and cruel cynicism, while the kind-hearted John tries his best to keep them going. When they discover Irene is pregnant, John takes a desperate chance to relieve their financial woes. Most of the familiar traits of the genre are there, in convincing form: flashback structure, chiaroscuro photography, poignantly tragic ending. But even more impressive, especially for this time in Danish mainstream cinema, is the pervasive sense of fatality. Arguing in oppressively lit and shot hotel rooms, confronted with lechery, contempt, or blackmail wherever they go, this couple is doomed from the start. Halfway through the film, in a feverish discussion about crime and punishment with a Swedish vagrant, the guilt-laden John posits that the state of Denmark only gives the death penalty to traitors in wartime. The bum’s response: “But life itself is war.” That’s about as noir as Danish cinema has ever got. 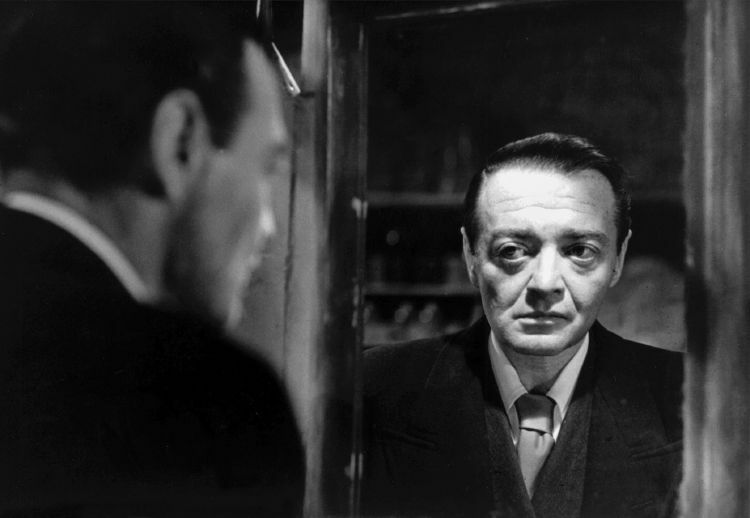 Peter Lorre is perhaps most known by cinephiles for his role as the serial killer in Fritz Lang’s M (1931) before both fled their native Germany when the Nazis came to power. After he migrated to the United States, Lorre went on to signify Film Noir like few actors ever did. Bogart and Mitchum might be its iconic heroes, Lorre is the quintessential noir villain (or one of them anyway). A slippery, smooth, and (literally) foreign element upsetting the certainty of the American protagonists’ world. It makes sense that when he returned to his home country a few years after World War II, he would make a film noir himself, infusing Germany with the noir atmosphere through lighting and shadows: Der Verlorene (The Lost One). Starring himself in his directorial debut, which he also wrote, Lorre took a critical look at post-war Germany and how its people still carried the burden of the evil of the Nazi regime and the war. Based on a true story, Lorre’s Dr. Rothe used to work for the Nazis but now works as a doctor for the homeless. He is wrecked by guilt for killing his fiancée, a crime the Nazi government covered up so he could continue to work for them. Told in flashback structure, naturally. Lorre takes post-war Germany to task for its complicity in the war and the deeds of the Nazis and Germans weren’t ready to hear it in 1951. The film flopped and was heavily criticized. Left bitter after this reception, Lorre never wrote or directed another film. Classic (American) film noir is not strictly defined, but definitely has a set of rules or recurring elements that make it noir. A hard-boiled protagonist, the deadly, seductive and unreliable female, a cynical and dark view of society, and moody black and white photography. 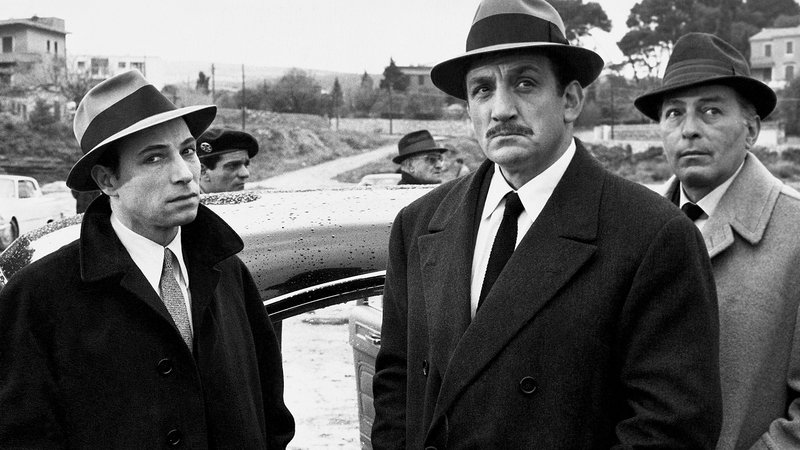 Jean-Pierre Melville never really obeys these rules with his great heist-film Le Deuxième Souffle. There is no hard-boiled detective in a leading role, but a hard-boiled criminal, Gu, who returns to society after a prison escape. The beautiful black and white photography gives this film the noir feel that makes you wonder and curious about the other elements. The archetypical femme fatale is not present, although Melville does really play with the notion of this character. Gu’s sister, Manouche, is the type of woman who could have double-crossed anybody in the setup of this story. 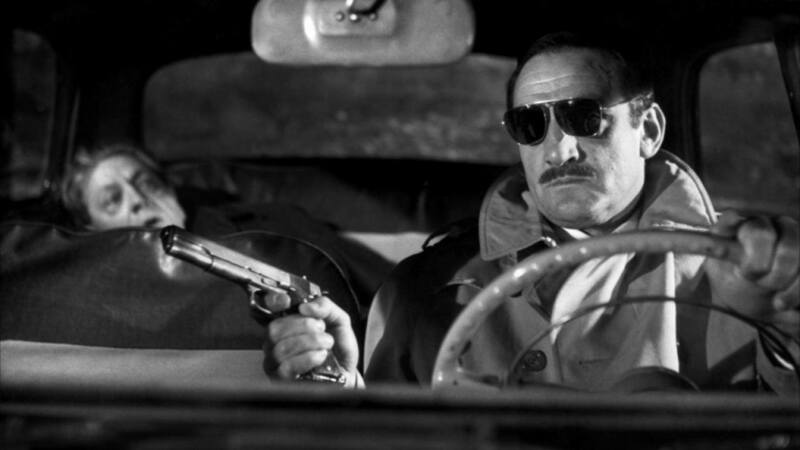 This is what makes Le Deuxieme Souffle an interesting film and makes it feel like noir. Melville seems to be aware of the rules and tends to play with them, both in premise, style and by making small references. 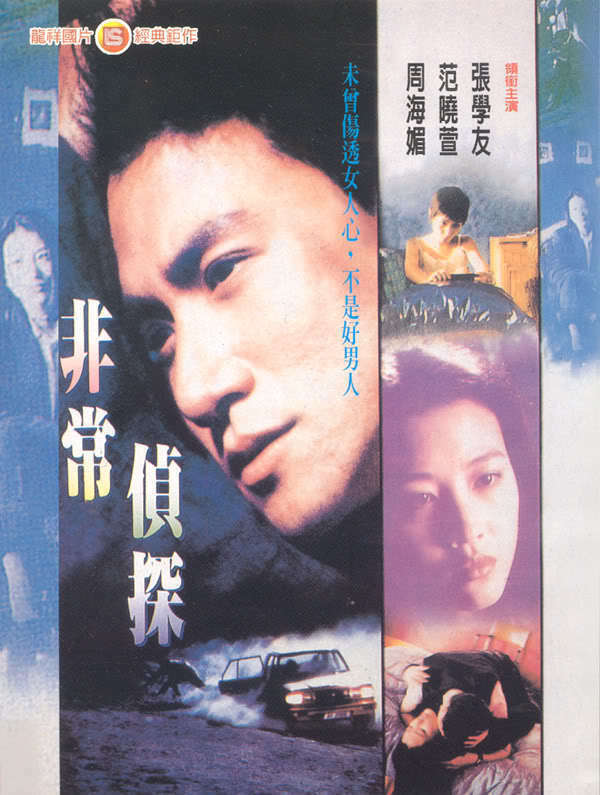 In Eddie Fong’s 1994 comic noir Jacky Cheung plays a deadbeat detective who gets assigned to find a missing teenaged girl. She finds him almost immediately, the mystery is who she is and why everyone (the Mainland government, the British authorities, local Triad gangs) is trying to find her. She might be the Chairman’s granddaughter, she might be an escaped psychic, it ultimately doesn’t matter, and Cheung, swilling beer, and moping about the breakup of his marriage, doesn’t particularly care. He’s the soul of Hong Kong on the brink of the Handover: everyone wants a piece of him and he just wants to be left alone. In America, noir built tragedy out of post-war paranoia, men trapped in a world that no longer made sense after the atrocities of war and the reshuffling of social roles at home: women are dangerous harbingers of change and violence is a matter of course. The Girl in The Private Eye Blues isn’t a femme fatale, but her opposite, a manic pixie nightmare (Mavis Fan both looks and acts like Faye Wong in the same year’s Chungking Express) who claims to know the future, but only sometimes. Paranoia turns to farce, every shot a world off its axis, not in chiaroscuro black and white, but the hazy neon blue of the Hong Kong night. A world where the future could be predicted, but can’t ever be controlled.